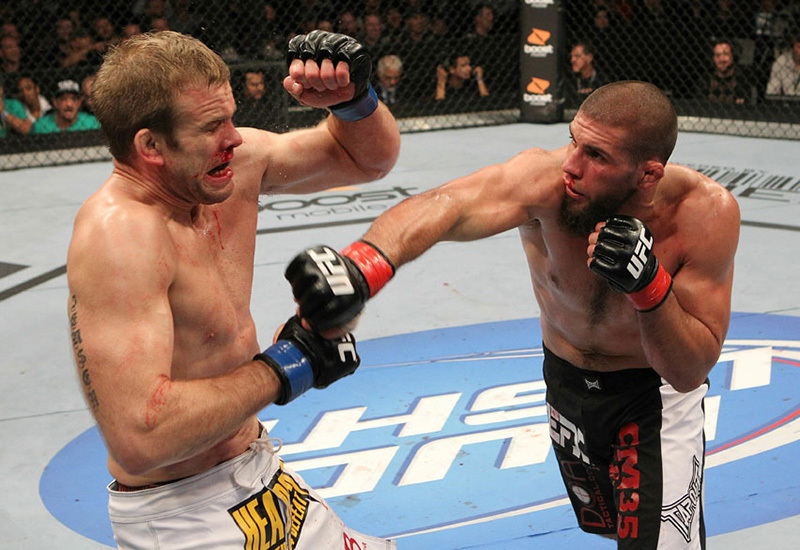 Court McGee started his career early on back in high school where he was on the Layton Utah high school wrestling team. He placed 6th in 2002 and 3rd in 2003 in the 5A State Division. McGee's MMA career started in 2007 in Utah. His record became 10-1, with two technical knockouts and five submission wins. In September 2008, McGee faced Isidro Gonzalez at the "Throwdown Showdown" event in Orem, Utah. McGee won the match after a unanimous decision. The Ultimate Fighter Season 11 Winner!